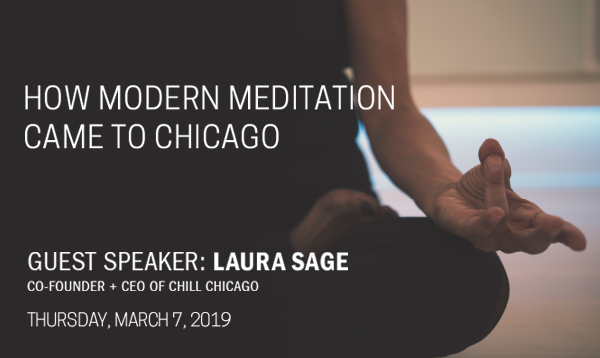 Laura Sage will talk about her journey from working in financial services to co-founding Chill Chicago as well as discuss the benefits of meditation and yoga. Attendees will also be guided through a meditation session. Cost: $25- Snacks and wine will be provided by CFW.